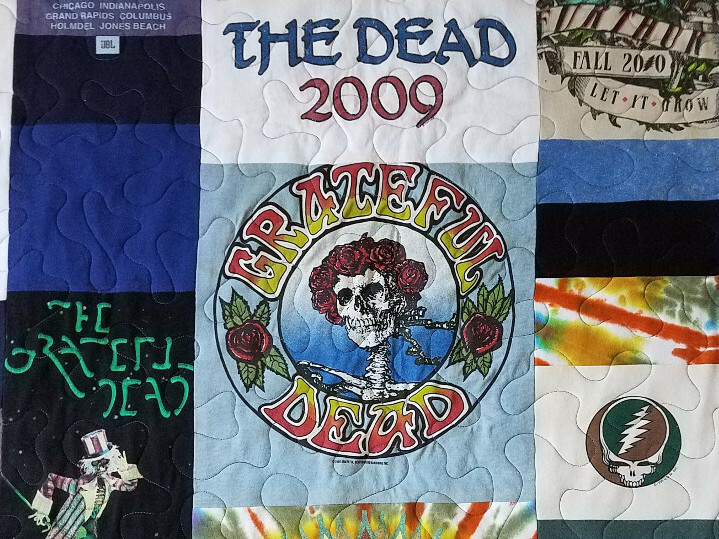 So many awesome songs by the infamous Grateful Dead Band. 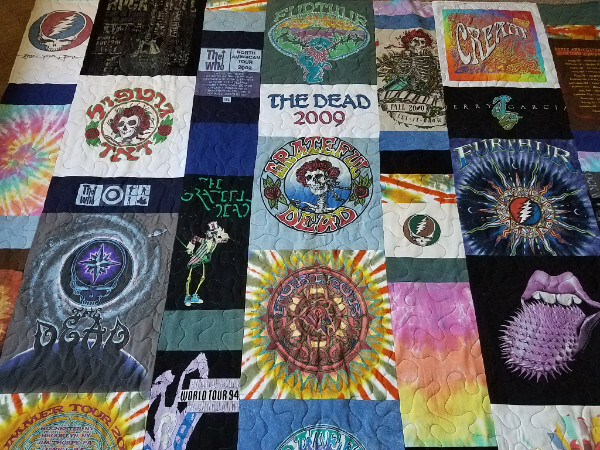 This Modern Lap Quilt contains more than 20 Dead shirts from many, many concerts as far back as 1973! 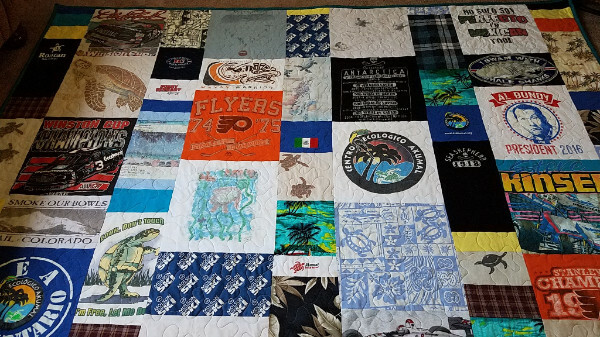 This past month has been spent making many unique and meaningful Memory Quilts! I hope you enjoy the ones highlighted in this newsletter. 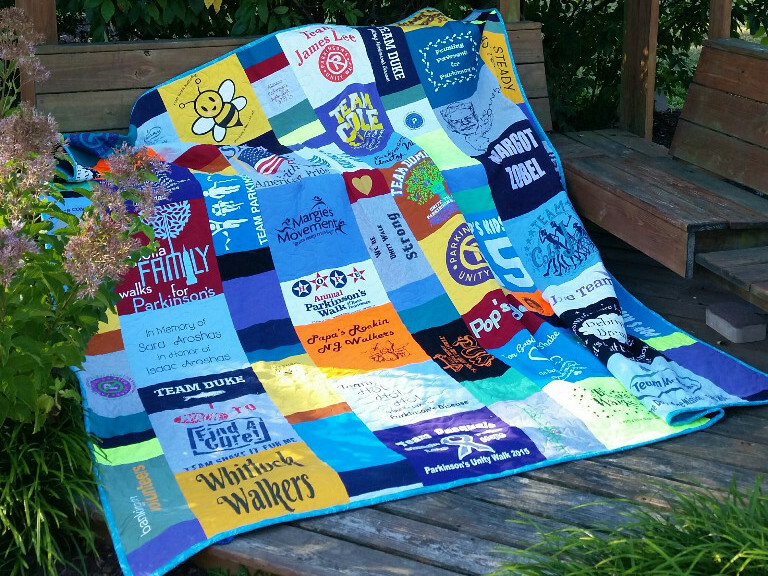 "This quilt is one of the most thoughtful and important presents my wife has ever received. 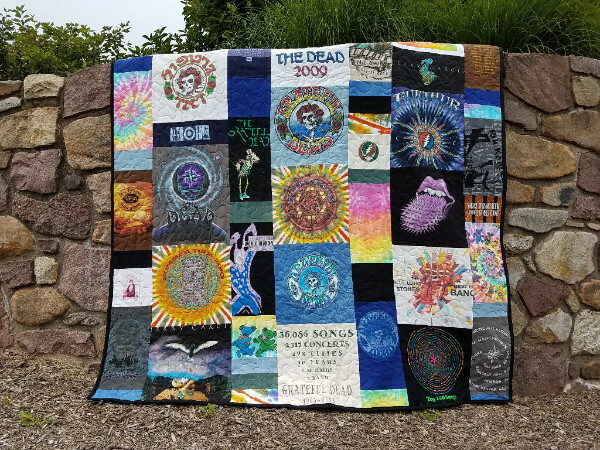 This will always allow us to remember her mom and the love of music that she passed down, thank you Molly." Read more testimonials. 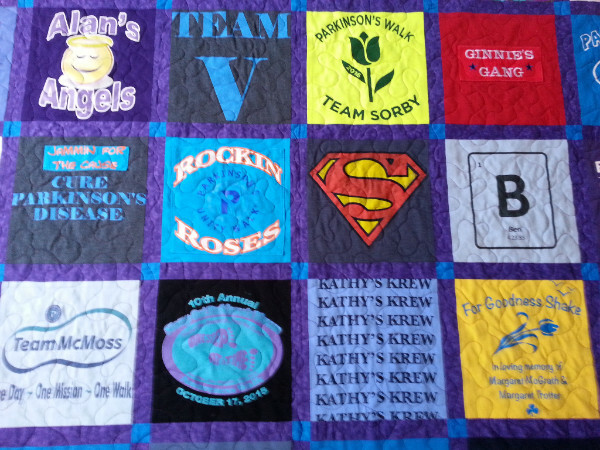 This beautiful block in this full size Modern style Quilt was made extra large to accommodate this awesome graphic. 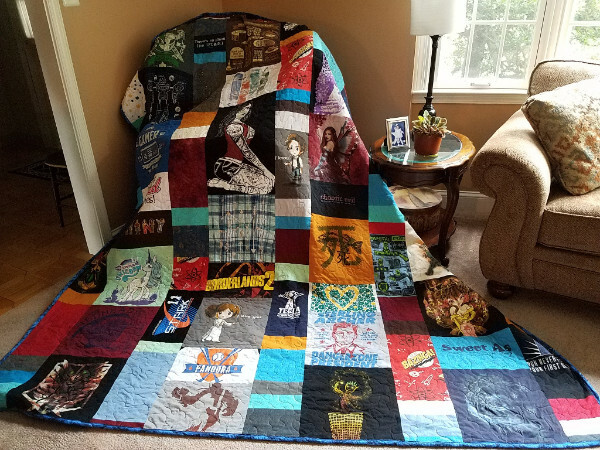 It is the focal point of the quilt. I already have 17 on my schedule and there is only 14 weeks left until the holiday season. 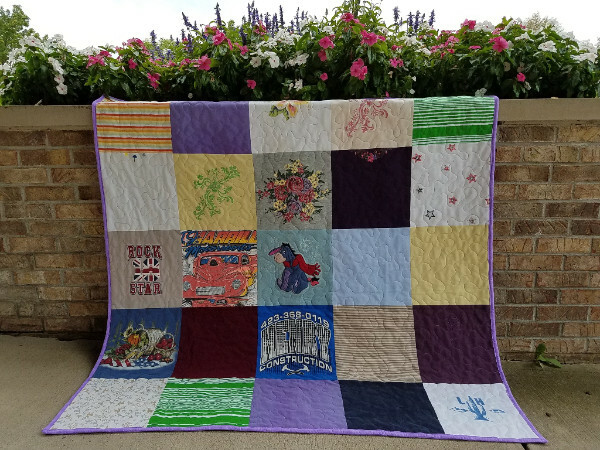 MQBM made this Basic Lap Quilt filled with precious shirts of a loved one taken from us far too soon. 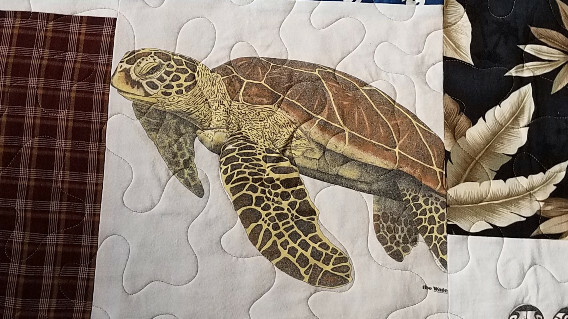 This quilt measure 58" by 58". 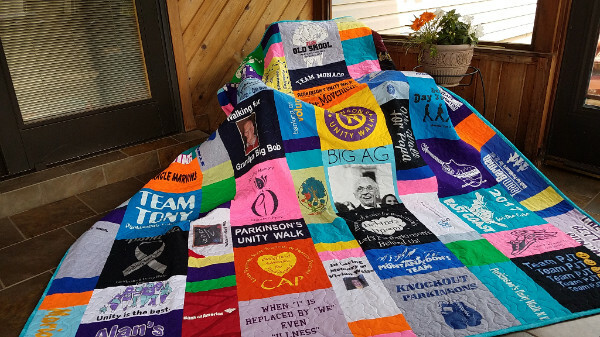 MQBM made this full size Modern style Quilt filled with shirts from the annual Parkinson Unity Walk held in NYC! It is the 5th year that MQBM has had the privilege to work with this amazing organization. 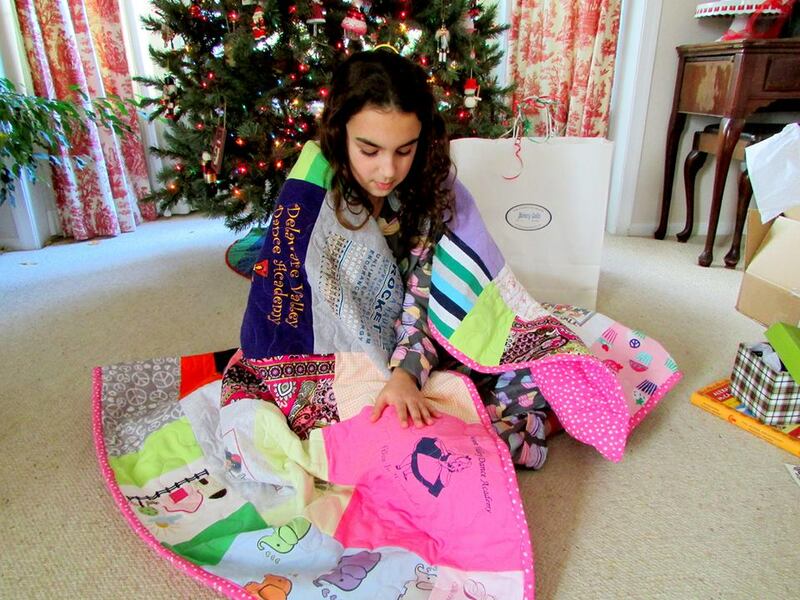 Below are the 4 other quilts made since 2013! 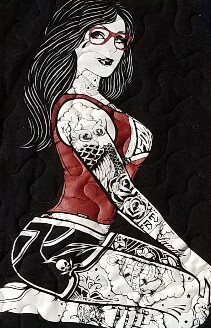 There have been 4 full size modern quilts made and one full size traditional style with block sashing made! 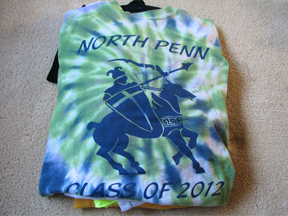 All accented with their colors of teal and purple. 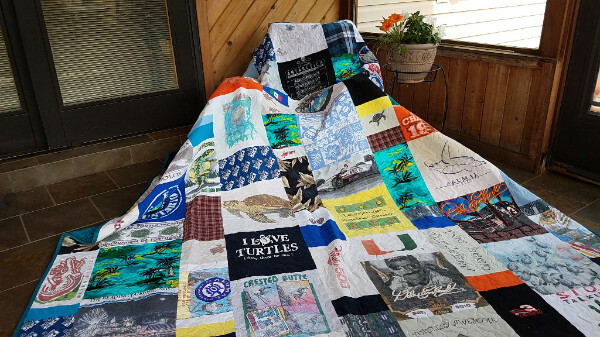 This queen size Modern style Quilt measures 90" by 108" and is filled with "Save the Turtles" shirts, NASCAR shirts and many skiing shirts. 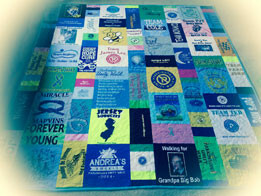 I sincerely hope this quilt brings comfort to a grieving wife and mother. MQBM is committed to helping people through difficult times. 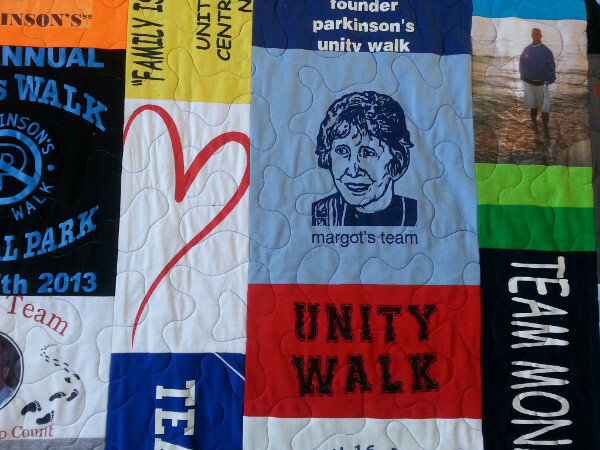 Learn more about Memorial Quilts. 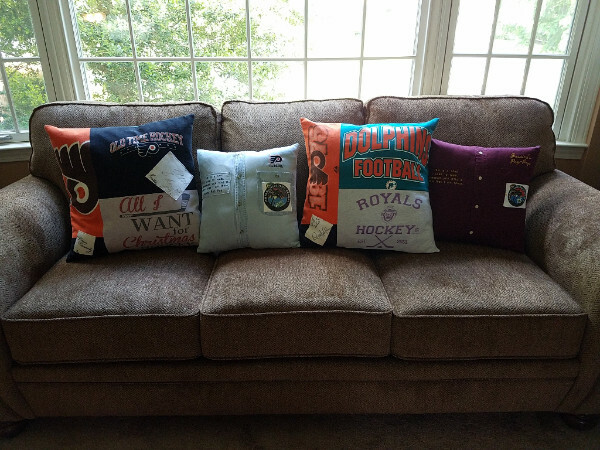 Memory Pillows are very popular. They come in three sizes and styles and make wonderful holiday presents.